The Myer’s Metro Mattress is a low-price open coil spring mattress with a firm feel. 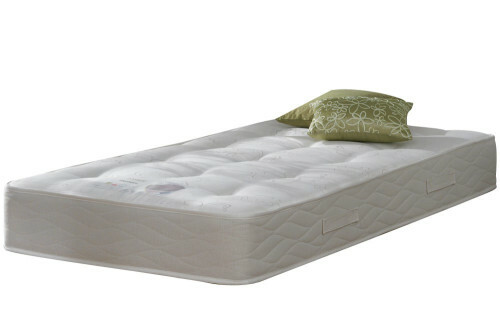 Open coil is the most commonly used spring technique of mattress. Springs are interconnected and quite strong which makes it durable and gives it a firm feel. Myer’s gives a 12 year warranty with their mattresses, since they believe in the quality of their products and Myer’s does not want to disappoint their customers. While this mattress is the cheapest in the whole Myer’s mattress range, this does not mean that it compensates in quality. However, you could say that it is a no-nonsense mattress without many unusual features. The springs of this mattress are arranges in personal sleep zones, which implies that it is less likely for partners to roll together or towards the edges of the mattress. The springs are made more firmly on the edges and in the middle. This mattress also provides lower back support. 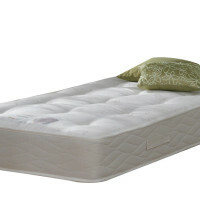 To keep this mattress in the best condition possible, it is advisable to regularly turn this mattress. The Myer’s Metro Mattress has an approximate depth of 20cm and it suitable for divans as well as bedsteads with slats. A great advantage of this mattress is that it is almost always in stock and can be delivered within a day, or on a day of your choice. This mattress is available in the following sizes: single, small double, double and kingsize. If you are looking for a firm mattress but do not want to spend to much money, the Myer’s Metro Mattress is a great option since it is available from 99.95 pounds onwards. Be the first to review “Myers Metro Mattress Reviews” Click here to cancel reply.